Václav Laurin & Václav Klement started their own business in Mladá Boleslav in 1895. 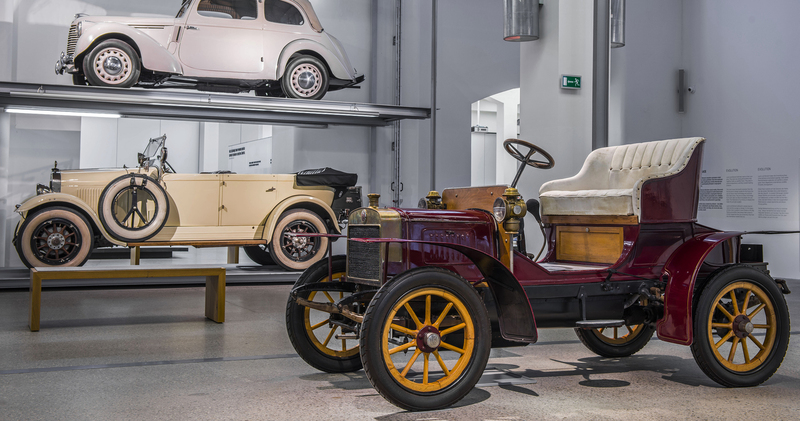 Today, ŠKODA is one of the longest-established automotive brands in the world, and the Museum highlights this history in the most authentic of places – the original production halls where the company manufactured cars until 1928. Right next to this site, the biggest and most modern of the company’s plants continues the brand’s success story, producing new ŠKODA vehicles every day. And history is also in constant motion at the Museum: exhibitions, events, concerts and continuous updates of the permanent exhibits offer inspiration and diversity all year long. The Museum provides tours in many languages, as well as additional services, including special packages for groups and children. 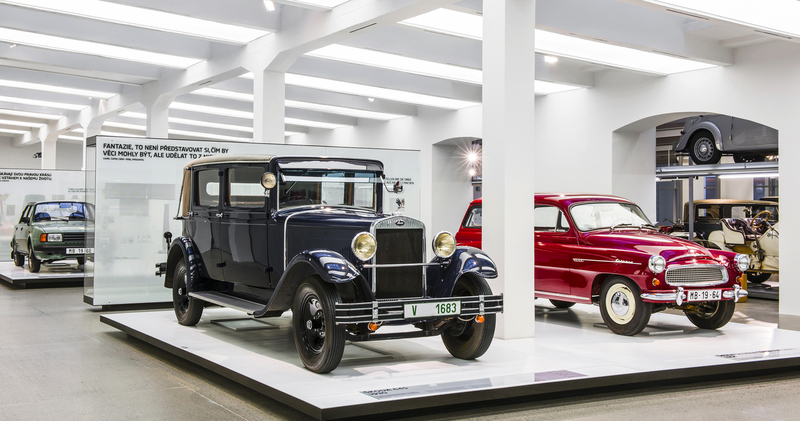 For example, why not combine the Museum tour with a tour of the adjacent production facilities to experience a fascinating journey from the history to the present of automobiles? 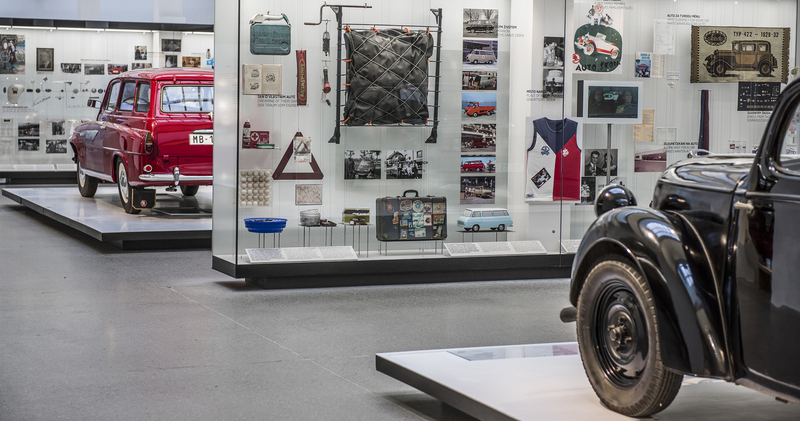 The Museum showcases the brand’s story in a project designed to invite visitors on an exciting interactive multimedia journey though ŠKODA AUTO’s history, using a 1,800 m² exhibition area in historical production halls to feature vehicles, films, photographs and documents. Moreover, the Museum boasts a new multifunction conference centre – the Laurin & Klement Forum – and the VÁCLAV Café/Restaurant, a modern facility set in a historic venue. "Tradition, Evolution and Precision in Harmony" is the leitmotif of the whole Museum project, three worlds offering a host of experiences with special emphasis on "thrilling, educational and surprising". 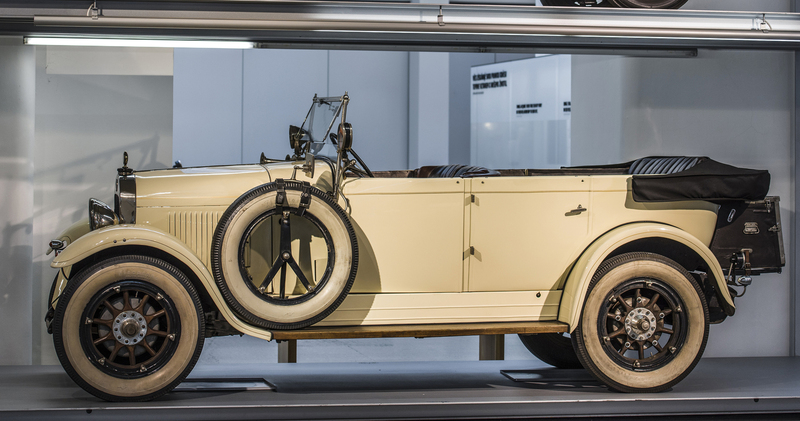 The presentation is a multimedia interactive mix of cars and stories, offering a variety of options, from cars and other exhibits on display to viewing photos, watching films, reading documents, and much more – flexibility is one of the key features of the new ŠKODA Museum. Each of our cars comes with an endless number of stories, both well-known ones and those that have never been told. Starring in a famous Czech movie, the Ferat was born in 1971, but was not meant to play in a film – named Škoda 110 Super Sport, the car was a sports-tuned, snow-white two-seater with a pop-out ramp holding six headlamps and pop-up doors, roof and windscreen. Boasting a timeless, dynamic design, this car indeed drew great attention, but never made it as far as at least small-series production, only appearing on cinema screens in the Ferat Vampire movie (1981), painted black, with different headlamps and a few other minor adaptations. "The baseline for any brand’s success is whether or not it succeeds in real life," says ŠKODA AUTO Board. "In this respect, the history of ŠKODA is like a magic box that is full to the brim, and we have chosen the best pieces to showcase the excitement this brand creates in the Czech Republic and around the world." Visitors have the chance to encounter a variety of stories and episodes, with employees, fan clubs, celebrities, politicians, children, rally drivers etc. playing the main roles. Stories, anecdotes, event descriptions (some of which are a little bizarre) – the Museum "makers" fished in many waters, but all the stories have one thing in common: they demonstrate the unique bond between people and their ŠKODA cars. Whatever these stories are about, they happened with or even in ŠKODA cars. One of the stories from 1957 describes Czech-American relationships influenced by ŠKODA: in 1957, a U.S.-based car importer sent the then Miss USA to Czechoslovakia for a photo session. The pictures were taken at Prague Castle, in and around a ŠKODA Felicia, a "dream convertible" at that time. Featuring the young lady and the ŠKODA Felicia, the photos sparked huge demand for the Felicia in the U.S. market right after they were released. The flirt with the biggest "enemy" did not last long, though: with 15,000 potential clients, only 408 were exported to the U.S.
All short-term exhibitions are accessible within the regular entrance to the museum. 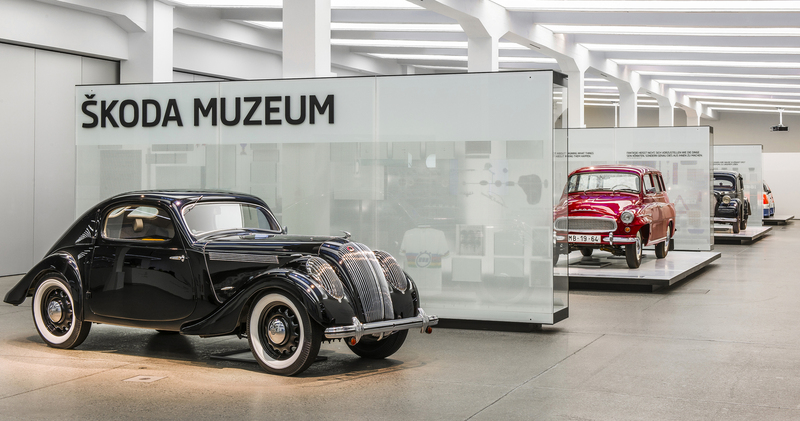 Take advantage of the opportunity to purchase year-round tickets at the ŠKODA Museum at a discounted price. We would like to invite you for a ride across the first republic! At the time the Mladá Boleslav car maker L&K / ŠKODA we among the pillars of the motorsport boom in Masaryk’s Czechoslovakia. 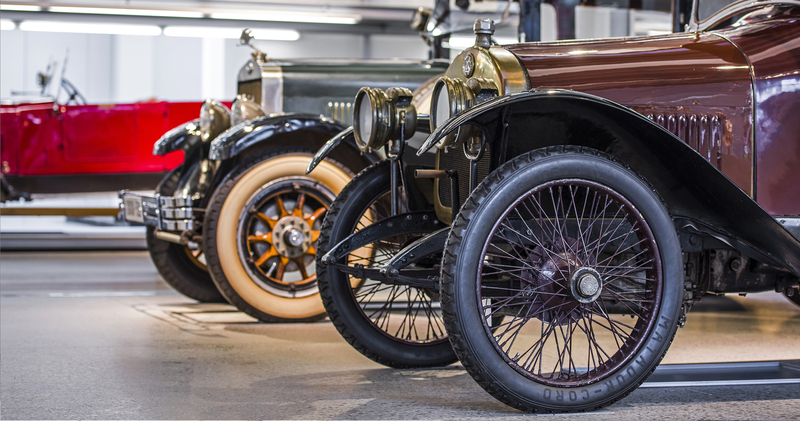 Come to discover the exciting world of motorsport, exotic long-distance rides or VIP ŠKODA owners and much more at a new exhibition, which will be open for public until 28th April 2019. Students of the ŠKODA AUTO Vocational School of Mechanical Engineering in Mladá Boleslav regularly develop and manufacture an original car study designed according to their taste. The inspiring tradition, which started in 2014, was preceded by the ŠKODA BUGGY project launched already three decades ago. 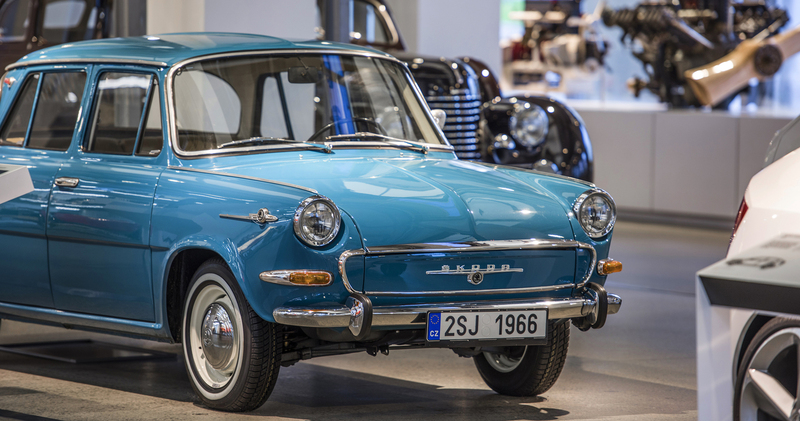 Student cars exhibiton is possible to see on ŠKODA Museums standing exhibition – part car shelf – until 29 April 2019. One of a kind exhibition of bronze objects by the visual artist David Černý, portraying scenic images from Czech history and culture. Elaborate in detail, the statues depict the traditional nativity scene. The series, created for Autostadt/Wolfsburg, Germany on the occasion of EXPO 2000, consists of 12 objects. The exhibition is possible to see until the end of the year. The film clapperboard salon is a traditional exhibition that has been accompanying the Zlín Film Festival programme for many years now. The 22nd Film clapperboard salon starts on 12 March 2019 in Prague’s Divadlo Hybernia. The film clapperboard exhibition will be on display at the ŠKODA Museum between 27 March and 8 April 2019. 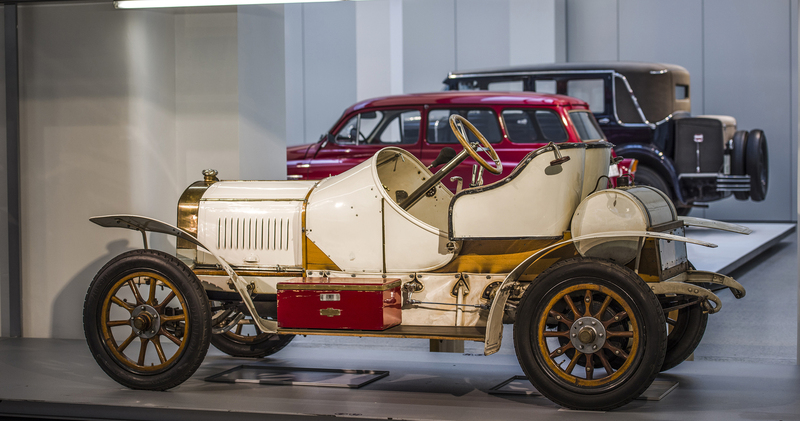 The ŠKODA Museum collection contains about 340 items, primarily series-production passenger vehicles, rally cars, prototypes, dozens of engines, four motorcycles and one bicycle – the bicycle, a Slavia of 1899, is the oldest exhibit. The first car produced by the company, the Voiturette, and the Ferat, a car that appeared in the Ferat Vampire movie, are part of the collection, too, and so is a fleet of 24 vehicles regularly appearing at car exhibitions (e.g. Techno-Classica Essen) and vintage car rallies (e.g. Sachsen Classic, Kitzbüheler Alpen Rally, Silvretta Classic, Oldtimer Bohemia Rally to name a few). 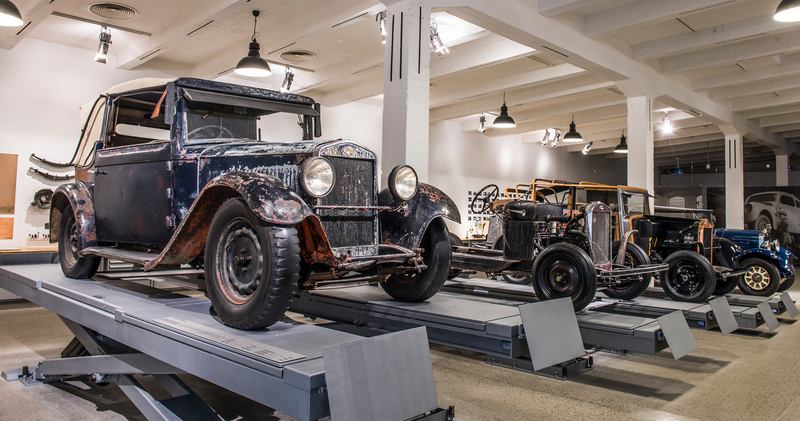 The vehicles are stored in a special depository to provide optimum storage conditions, and the collection is gradually being renovated, both by a special renovation department within the ŠKODA Museum any by third party contractors. The Museum places great emphasis on quality and historical authenticity in all renovation operations. One of the premises open to the public is a prototypes and sports cars depository situated in place of the former foundry. 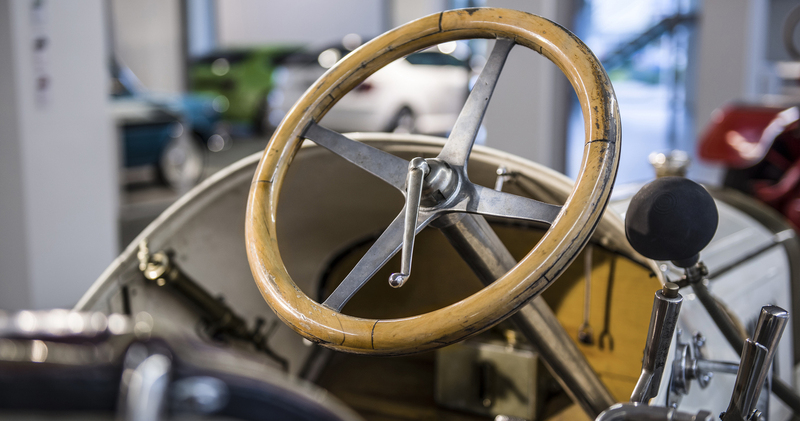 The ŠKODA Museum collection is regularly extended with new items: prototypes and new models (in order to capture the authentic evolutionary process), as well as vehicles bought from private owners. 1919 – L&K Typ MF "Fire Truck"
1948 – ŠKODA 1101 "tudor"
1971 – ŠKODA 110 SUPER SPORT "Ferat"
Collection first, museum later. Comprising two L&K motorcycles, six L&K passenger vehicles, one fire engine and one racing car, the ŠKODA Museum’s first collection was put together in the second half of the 1960s, and was installed, as a standing exhibition, at the Czech Friars Congregation in Mladá Boleslav. It was then that the company planned to build an independent museum and identified several possible locations, including at Mladá Boleslav Castle. 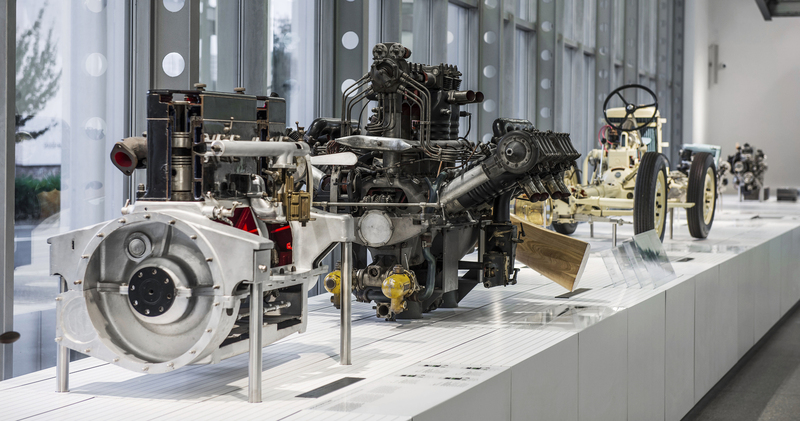 In the end, however, the "AUTOSALON ŠKODA – AZNP Museum of Technology" was opened in a new purpose-built centre (today’s ŠKODA International Sales) – the official opening took place in 1975, on the occasion of the 1,000th anniversary of Mladá Boleslav’s existance and the 80th anniversary of the company’s founding. 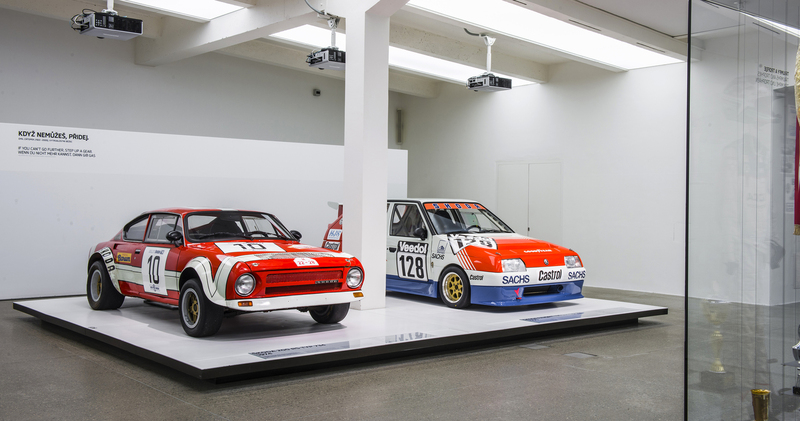 The then new exhibition to feature L&K and ŠKODA vehicles, photos, films and information describing the company’s history and its motorsport achievements was visited by around 20,000 people/year. September 1995 saw the official opening of the ŠKODA Auto Museum in new premises, the oldest part of the factory (Třída Václava Klementa), on the occasion of the 100th anniversary of the company’s founding. The Museum thus became a symbolic interface between the city and the production plant, with the ambition to hold a variety of educational, cultural and promotional events and teach visitors about the company’s history, as well as the latest developments and visions. Built at the turn of the 20th century, the original complex (that the company founders, Laurin and Klement, used as a factory) was reconstructed to meet the needs of the new Museum (including building a new renovation shop and moving the company archive). One year later ŠKODA opened a new multi-function centre named Laurin & Klement Forum on the Museum site – the new facility is used for dealer conferences, presentations of planned new products to media and dealers, as well as classical- and pop-music concerts and theatre performances. The Museum premises also included a shop with automotive literature and gifts and the stylish "Rally Bar". The annual visitor numbers climbed to 120,000. In 2012 the Museum underwent an extensive reconstruction involving both its interior and exterior, as well as the standing exhibition, and its name was changed to ŠKODA Museum.